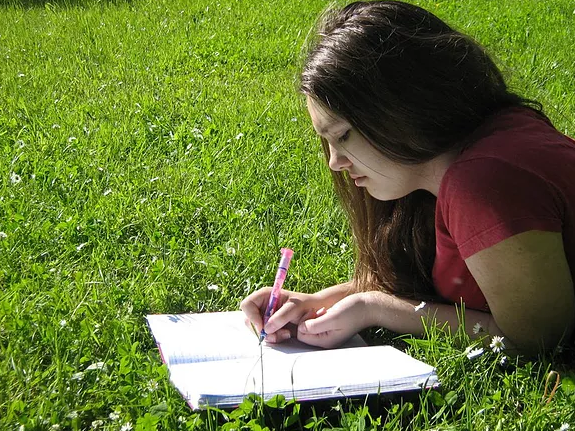 One of the best ways to help students improve in writing is for them to practice. But what do you do with a student who needs to improve their writing, but does not like to write? Here are five creative ways I have worked with students to engage them in writing. I have watched even the most stubborn students turn into writing machines when the right idea sparks their mind. 1. Have them write a mash-up story. This could work in many ways. I often think in terms of fiction stories in which characters from different universes meet. Examples: Star Wars meets Doctor Who, Minecraft meets Mario Cart, or Ever After High meets Monster High. They can mash up as many universes as they like and spin off stories in multiple directions. 2. Ask them to dream up a wild scenario. What if Vince Lombardi came back from the dead to coach a dream football team? What if a strange alien race was discovered deep inside a mountain? What would your child do if the American Girl doll on the shelf came to life? The possibilities are endless. Play to their interests and you are sure to find something that excites them. 3. Create a comic book. Some students are much more into comics and graphic novels. They can draw their own panels, use an app, or download comic book templates from the Internet. Here they can use their creativity to come up with a storyline, write great dialogue, and bring their characters to life with drawings. 4. Play the mystery story game. This requires at least two people and can be fun for a whole family. Fold a piece of paper into six or eight sections. The first person writes the opening line of the story in the top area created by the first fold and passes the page to the next person. The second person writes the next sentence in the next area created by the fold. After writing their piece, they fold the paper so only their sentence is showing. This continues until the story is done. You may need multiple pieces of paper if everyone gets into the game. When you finish, read the story aloud. 5. Have them research something they are excited about. Any time you can engage kids on a topic they are truly interested in, you can usually get them to do work connected with it. Maybe they want to learn everything they can about their favorite baseball player, animal, video game character, or singer.